By adopting a more forensic approach to pest management audits - we can show what is actually happening on large busy sites. Undetected pests present a risk to product and compromise hygiene standards. Assessment of in-house pest management systems. Verification of quality standards for pest management. 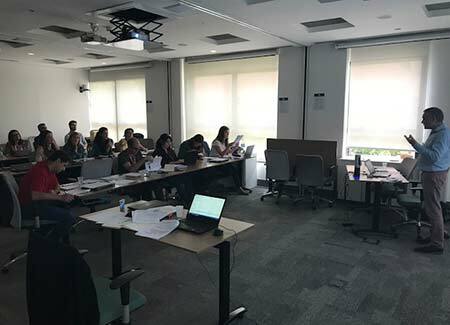 Assessment of compliance with food regulatory standards such as British Retail consortium and other accreditation and certification bodies. Highly qualified fully independent assessments. Comprehensive analysis of rodent or insect pest problems. 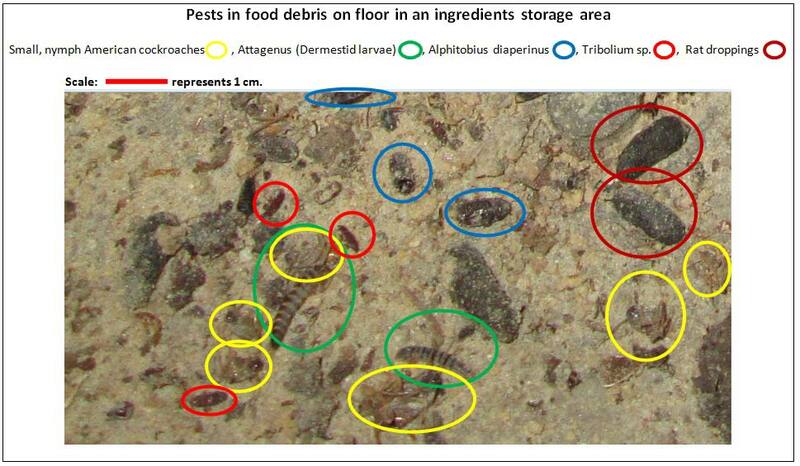 Worldwide audits undertaken to assess insect activity on food handling sites. 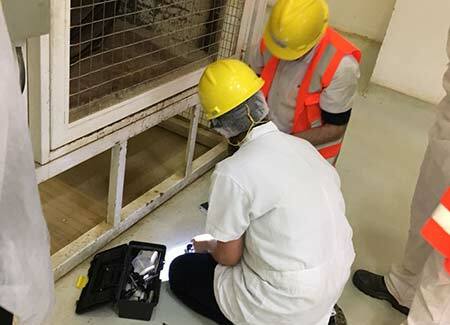 Such audits highlight the source or potential harbourage for insect activity and help to reduce the risk of contamination of food and packaging. They also provide specific guidance and help with the monitoring and control of insect activity. Examination & identification services. Technical reports provided plus – guidance for control and prevention. Assistance with monitoring and control of mosquito problems such as Culex pipiens molestus. Export/import markets are vital for developing your food production/food handling business. Markets within Europe and inside the proposed zone for the Trans Pacific Partnership require high standards for food production and pest management. We can help you build your trade bridges and to develop your import/export markets within these economic regions by ensuring you are compliant with the standards and codes of practice set by accreditation and certifying bodies such as BRC, AIB and others. Our audits will ensure that you comply with the high regulatory standards for pest management and will provide verification for the quality pest management systems in place. Our audits will also help you to implement and to maintain good and cost-effective standards for pest management. They will also improve the quality of your pest management programme, give you peace of mind for safe food production and increase your profitability. Alternatively, our pest management audits can serve as a ‘health check’ on the fitness of your pest management standards, and provide guidance to improve the efficiency of your current pest control programme with your existing pest control contractor. The importance of correct and safe food storage for transportation, distribution or sale, cannot be underestimated. So the methods used and its resistance to pest infestation is of prime concern to all parties throughout the food chain. Here at Independent Pest Consultancy we provide advice on food product protection to ensure that larval and adult insects are unable to penetrate packaging. We can help you identify risks and weaknesses such as stitch holes or glued seams which could pose a potential threat to your finished product. Indian Meal Moth, Warehouse Moth, Saw-toothed Grain Beetles, Red Flour Beetle, Rice Weevil, Cigarette Beetle, Lesser Grain Borer, Warehouse Beetle, Confused Flour Beetles, Psocids. Independent Pest Management & Insect Consultancy Limited (‘IPMIC’) is a new company formed by John Lloyd. 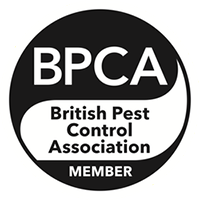 John is a qualified pest control consultant with 20 years’ experience in the pest control industry in the UK and abroad. He has worked in, and consulted on pest control issues in, Europe, China, Thailand, Africa and South America. John also has 40 years’ practical entomological experience working on insect-related projects in Europe, Asia, Africa, Middle East, Australia and South America. In response to increasing demands on his time and experience, John has formed an independent pest management and insect consultancy, IPMIC, to deliver a more personal service for promoting best practice in pest management and to help clients reduce risks in the food safety industry around the world. IPMIC Ltd provides a pest management auditing and consultancy service for organizations and individuals who have existing pest problems. We also carry out Quality Assurance Audits on the performance and suitability of existing pest management and pest monitoring systems that clients may currently have in place. Our service covers both vertebrate and invertebrate pests in the food supply chain and in matters relating to public health. Within the public health sector, mosquito control and mosquito habitat reduction is becoming an increasingly important aspect of the work we do. We also provide foreign-body analysis and pest-identification services (see below). WHAT ARE QUALITY ASSURANCE AUDITS? Our pest management quality audits assess and verify the standard of your pest management and pest monitoring systems and help to ensure compliance with both statutory requirements and food standards and codes of practices set by food accreditation and licensing bodies. These include the British Retail Consortium (BRC), AIB, M&S, Tesco as well as compliance with organic standards such as those set by the Soil Association. Pest management quality audits are comprehensive and cover many aspects of pest management, including the pest status of a site, a review of pest trends, the appropriate use of pest control measures and the quality of documentation for the recording of data and the reporting of pest information. The review also considers health and safety standards and the presence of appropriate health and safety documentation. The Quality Assurance Audits examine the performance of both the pest control contractor and the performance of clients, in relation to the quality of pest management systems in place. They will indicate if appropriate measures are in place for pest prevention and monitoring for pest activity. Quality Assurance Audits not only ensure a safer environment for food producers and food-handling companies, but also validate the quality of existing standards of pest management and, where needed, they also provide recommendations for further improvement in pest management in a practical and cost effective way. John Lloyd has consulted and worked on pest-related matters for companies in the UK, European and global food supply business, and has considerable experience in a wide variety of commercial sectors, having audited and serviced multinational food companies, packaging companies and other companies operating within the food supply chain. His experience also includes audits and giving commercial technical advice to a wide variety of companies including those specialising in pet food, pharmaceuticals, listed companies, facilities management and water companies, as well as to public bodies such as local authorities. In particular, he has provided important assistance and specialist advice to food production and food processing companies and a wide variety of companies’ in the food supply chain. John has also worked for insurance companies in food/pest-related arbitrations in assessing where pests have entered the food chain. Confidentiality is assured in using his services. One-Off Audits, Quality Assurance Assessments and Advice. We can carry out one-off inspections and give advice in relation to specific pest-related issues. We can also undertake regular site inspections as required for companies operating under the codes of practice for food production set up by accreditation or certifying bodies such as the British Retail Consortium (BRC) the AIB and others. We can conduct Quality Assurance Assessments of your existing pest management and pest monitoring systems and, by modifying your existing pest control contract you can even use us for one of your scheduled technical pest control inspections as part of the normal provision for pest management at your site. This gives clients peace of mind and ensures that your site receives at least one independent annual ‘health-check’ as part of your regular pest management programme. Our site assessments will help you maintain a high quality pest management system, ensure you remain compliant and help to minimize the risk of pest activity at your site. Our assessments help you increase food safety and will assist in the continuous improvement of your pest management programme in an extremely cost effective way. CAN YOU TRAVEL ABROAD TO ASSESS OUR SITE? Absolutely. John Lloyd has carried out audits and has assessed vertebrate and invertebrate pest problems in many countries around the world, including Europe (Holland, Germany, Austria, France, Italy and Hungary), Africa (South Africa and Ivory Coast), Thailand, China and in South America (Brazil). These visits have helped companies with pest management-related issues within their national market and have assisted some in maintaining their export markets. Such visits have also helped bring peace of mind to private and publicly listed companies importing foodstuffs into Europe, where pest-related problems could have jeopardized supply contracts, or could have resulted in potential product recalls. They have helped to avoid potentially expensive and time-consuming lawsuits. Foreign body analysis is a major concern in the food industry. When problems arise, they require a rapid identification and a speedy resolution. We provide a reliable, speedy and confidential service that will provide assistance and clarify the problems concerning foreign body complaints. Once a sample is received, close examination will quickly establish if the specimen is of pest or non-pest origin and, if the specimen is of invertebrate origin, the type involved – whether it is a stored product insect, a species prejudicial to public health or a non-pest species. Identifications are supported by a full technical report. Following the examination of a sample, IMPIC’s comprehensive technical reports provide information regarding identification, whether it is a pest species and when appropriate, provide specific advice and guidance on control and prevention measures relating to the specimen. IPMIC’s reports provide considerably more information than just a basic identification report. The prices we charge for this service start at £50.00 plus vat. For multiple identifications, special assignments or contract work, please contact John Lloyd for a quote. DO YOU CARRY OUT ON-SITE TRAINING? Yes, we can carry-out pest awareness training for your employees, especially line managers, supervisors, warehouse staff or hygiene and cleaning personnel. This would be tailored to reflect pests and threats relevant to your industry. We can also provide pest awareness training for senior management and QA managers which would include how to recognize risks and the early signs of infestation, insect pest recognition, control and prevention measures relevant to the factory environment or site concerned. John Lloyd has supplied these services to boards of directors and staff in many countries around the world. 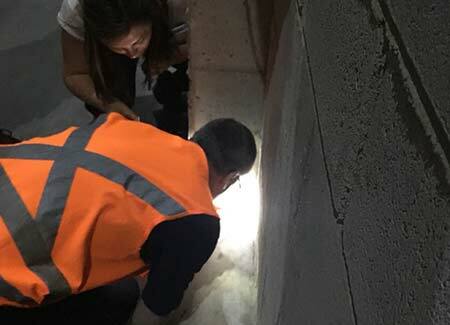 The photo below illustrates the more forensic approach we adopt during audits to see what is actually happening on a large site regarding pest activity and hygiene standards. It is one aspect of the type of analysis.